Vacation Bible School 2017 is here !!! Children ages 3-12 are invited to experience the sights, sounds, smells, and tastes of a unique culture at Passport to Peru Vacation Bible School, where kids discover how much God loves the world. 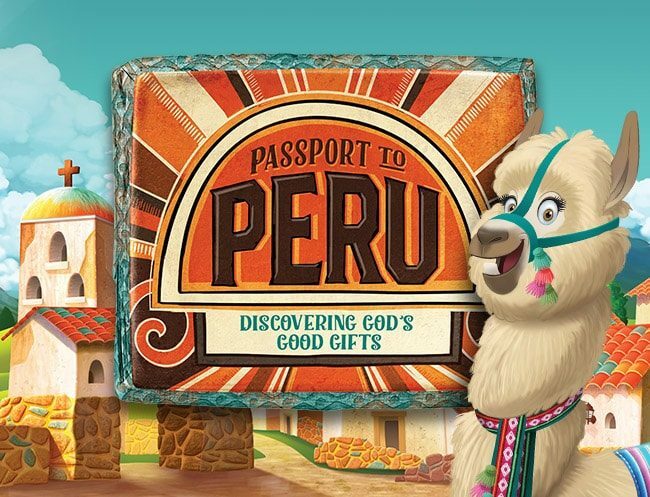 Passport to Peru is a whole new environment filled with incredible Bible-learning adventures, cultural experiences, team-building games, unique treats, and cool faith-building songs—all amazing standout activities that help faith grow in real life. (Since everything is hands-on, kids might get a little messy. Be sure to send them in play clothes and safe shoes.) Plus, we’ll help kids discover how to see evidence of God in everyday life, something we call God Sightings. Passport to Peru VBS will happen from 9-11:30am for five days on July 17-21st at First Baptist Church, Wellsboro. If you preregister, you won't have to stand in line and fill out a form on Monday morning at VBS. So, please take a moment to PRE-REGISTER ONLINE and your child will receive their Passport upon entry to Peru VBS and will be on their way to an unforgettable adventure.